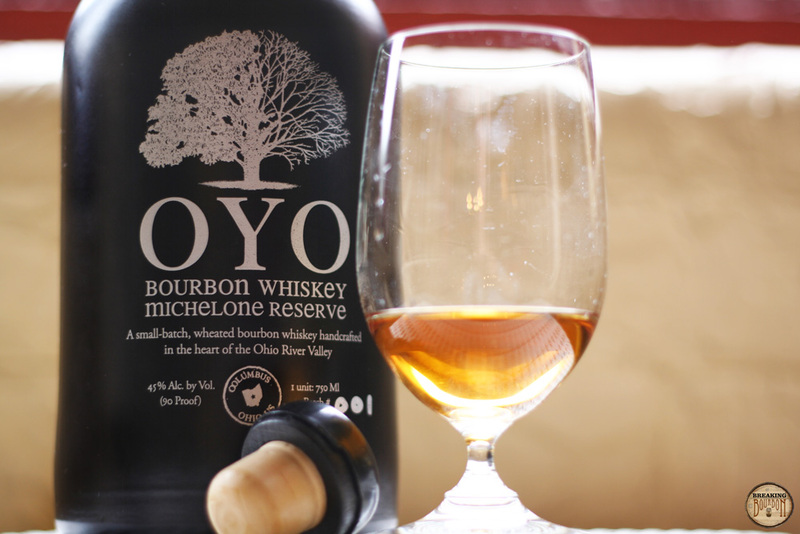 Picking up OYO for the first time, I was completely underwhelmed by what I smelled. Upon first (and second, and third, and fourth) whiff I was hit with a light alcohol scent mixed with rubber. If I was judging what bourbon to drink based on smell alone, I would pass on this every time. The palate makes up for the nose. On the first taste, my mouth was hit with a super sweet wheat taste. The sugars from the wood really come out in OYO and it makes you wish that you were pairing it with ice-cream or fudge. 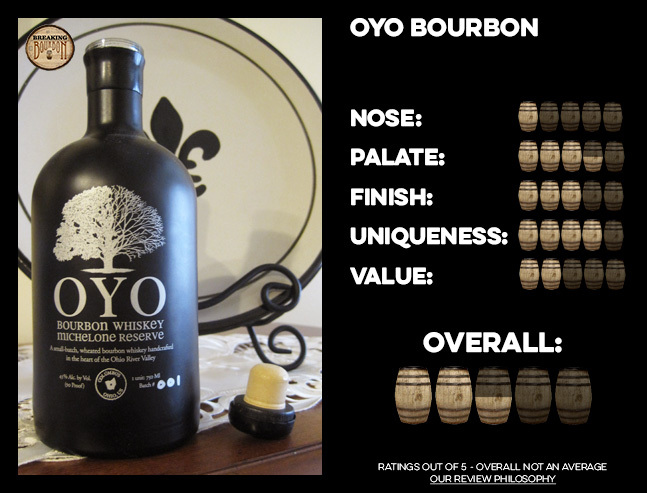 Unfortunately, the thin palate disappears just as you’re starting to appreciate the sweet taste of this bourbon. OYO has a really light, but long dry finish of new wood and leather. It lingered in my mouth for awhile as I debated what to make of this bourbon. On one hand, the nose does nothing for you, yet the palate is actually quite enjoyable that's followed by a finish which seems to be a "take it or leave it type." As I drank my glass, I went back and forth from liking the finish a lot to just finding it to be so-so. 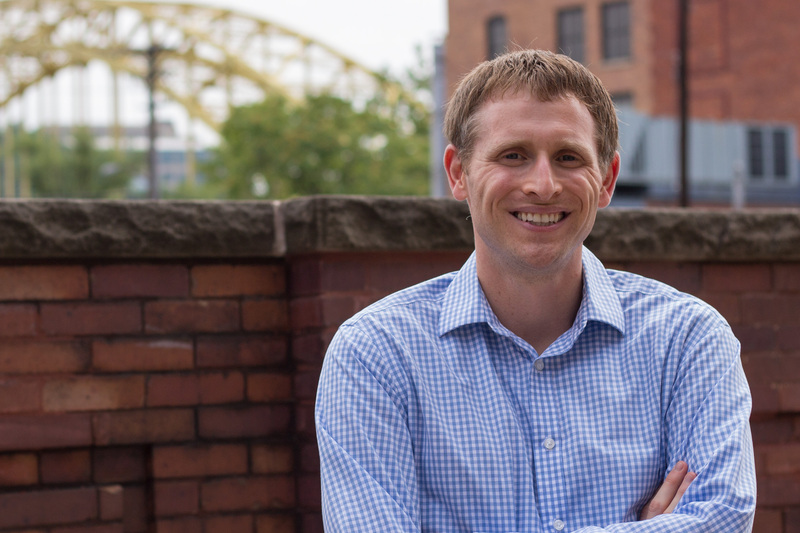 I’m a fan of small distilleries, especially ones that are starting up in cities outside of Kentucky and Indiana. You get to see how grains and water from different parts of the country impact the final product. In this case, you also get to see how well a small distillery in Columbus, OH blends their wheated whiskey with a Kentucky straight bourbon. Middle West Spirits has done a good job at producing this product. 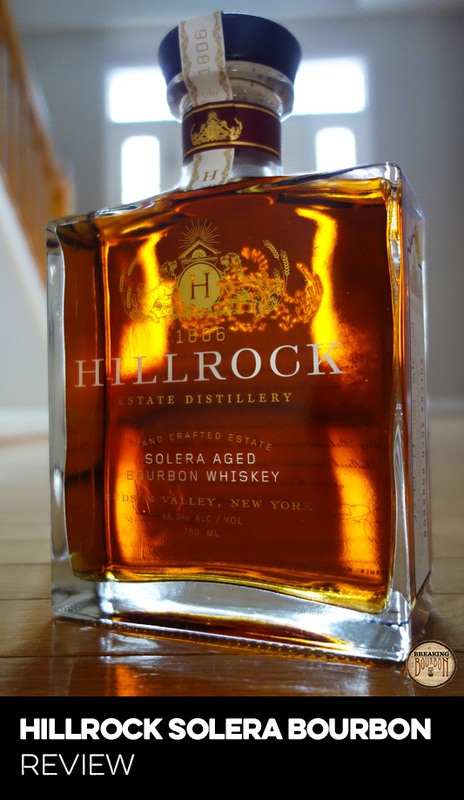 The blend of their whiskey made from Ohio’s soft red winter wheat with a Kentucky straight whiskey works well. 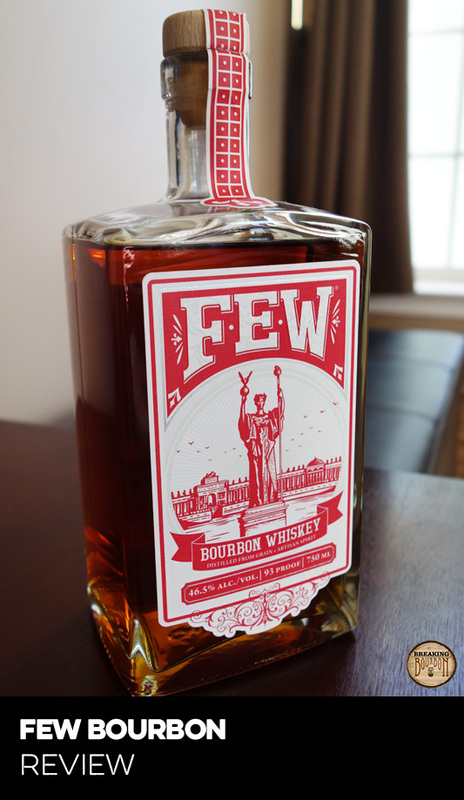 They’ve delivered a very drinkable bourbon that most first-time bourbon drinkers can drink neat and enjoy. Like most small distilleries this bourbon is priced higher than it’s worth. I realize that costs must be covered, but at $50 a bottle of bourbon should make me look forward to the next glass. Instead OYO has left me pondering how long it will take me to drink this bottle, as it just doesn’t jump out and beg me to drink more. Ironically, after doing this review, I poured myself a second glass to pair with some fudge which worked quite nicely together. The sweet palate of the bourbon was enhanced by the super sweet chocolate fudge. If it sold for $20 less, I’d recommend it as a bottle to have on hand to pair with desserts. At $50 a bottle it’s a hard sell. In one word, "fine." Not good, not bad, just "fine." Much like its palate and finish, this bourbon faded from my memory as soon as I was done drinking it. 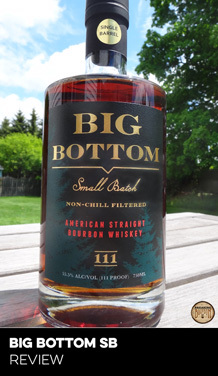 This is one bottle that I’d definitely recommend trying at your favorite bourbon establishment before deciding whether or not to spend the money to add it to your home bar.